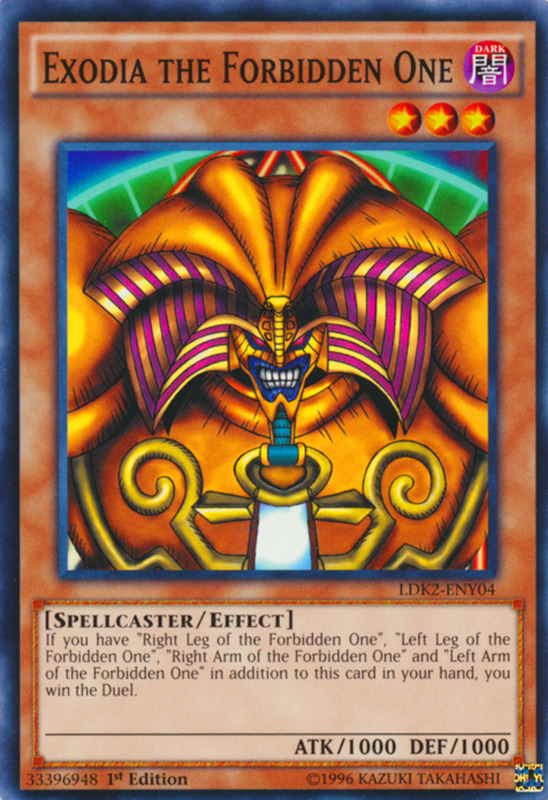 Monster cards form the core of most Yu-Gi-Oh decks, as they harass foes with both battle damage and unique abilities. They're generally the most abundant card type in the main deck, and exclusive to the extra deck, so anything that can annihilate your adversary's army makes a worthy tool for your build. Whether through destruction, banishment, or returning to the hand, you'll want fail-safes ready in case your opponent seizes the upper hand. But with hundreds of removals available, which cards reign supreme? 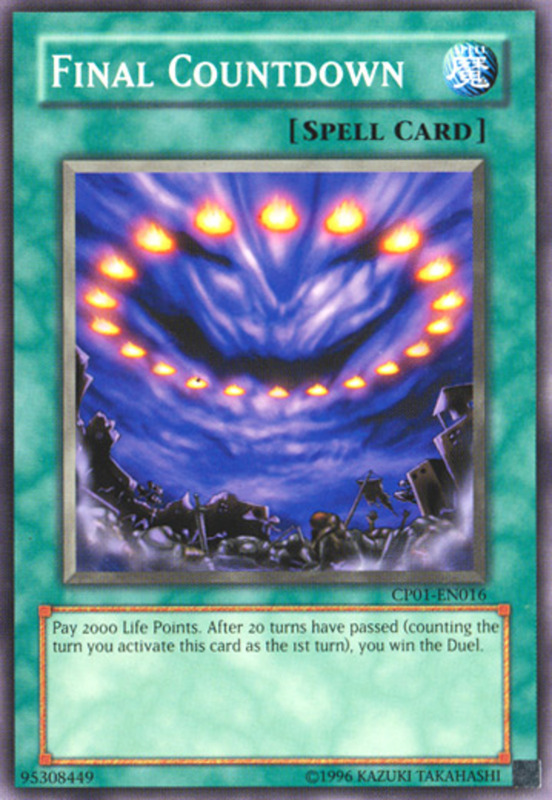 These are the ten best monster-punishing cards in Yu-Gi-Oh! While not as formidable as it once was, Lightning Vortex still deserves attention for its powerful wipe. 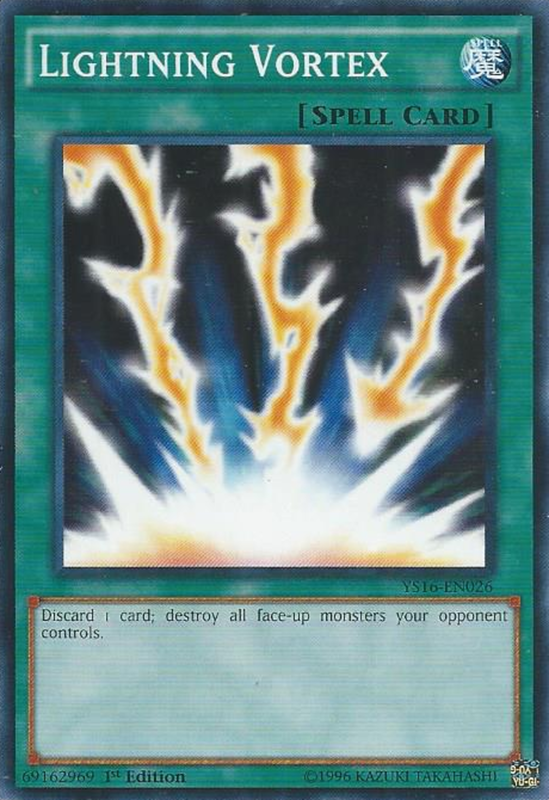 By discarding a card, you destroy all face-up monsters your opponent controls. Since not many decks rely on face-down flip effects, this usually exterminates all opposing monsters, and while the discard depletes your hand, it helps set up your graveyard. Additionally, Vortex doesn't target its victims, meaning it even conquers foes who can't be targeted. 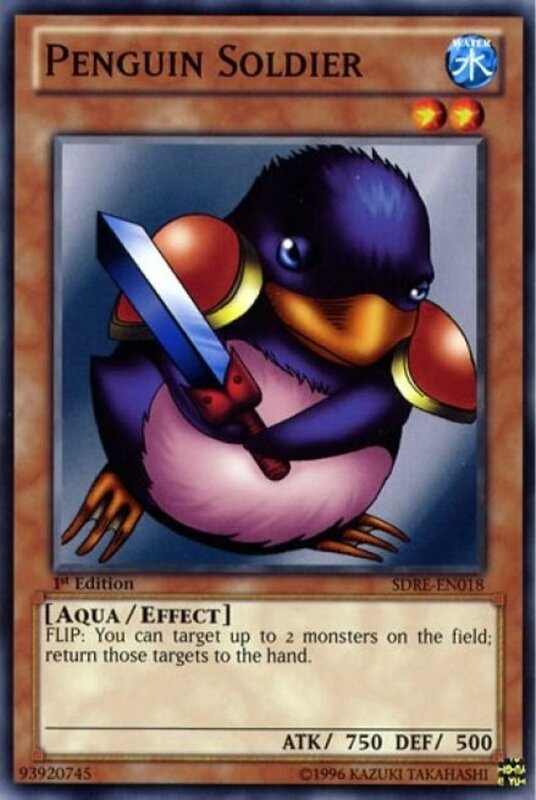 One of the oldest Yu-Gi-Oh cards, Penguin Soldier was particularly deadly in his time, by he's still a formidable force today. His battle stats are weak and he's a slow removal, as he needs to flip to activate his effect, but his ability targets and returns up to two monsters from the field to the hand. Not only can this potentially eliminate two units, it circumvents destruction immunities and works particularly well on extra deck monsters (who won't refill your opponent's hand when bounced). If you manually shift Penguin to flip him, you can even target him (or your other units) as one of the cards, letting you reset him to activate the effect all over again. 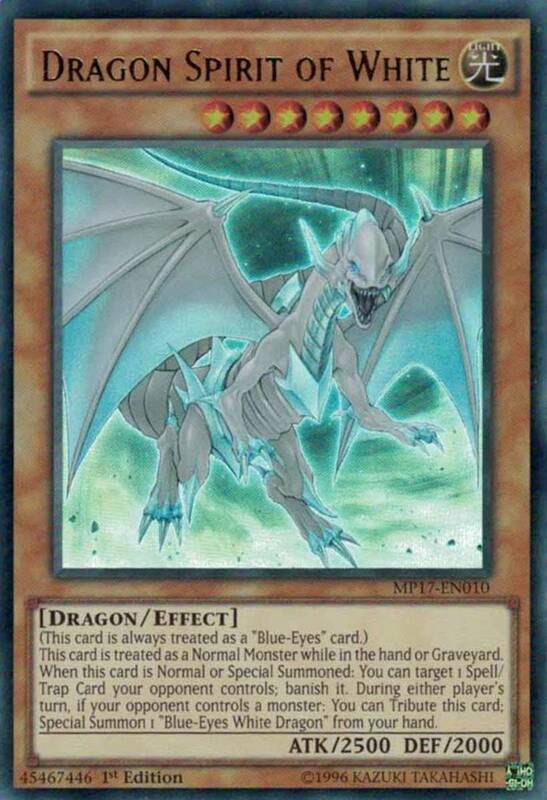 Mimicking the stats of a "Blue-Eyes White Dragon", you actually give Golem to your opponent by tributing two of their monsters. Sure, you're handing them a powerful beatstick, but you get to remove any two foes regardless of targeting or destruction immunities. Additionally, Golem is also a useful effect damage tool, as he automatically inflicts 1000 damage to his controller during their standby phase. Even if your opponent quickly uses him for a tribute or link summon, they have to wait until their main phase, meaning they'll still lose 1/8 of their starting life points. Just remember you can't normal summon or set the turn you play Golem, so have some defenses ready to stall your foe. For tribute-summon decks, you can similarly sacrifice your opponent's monsters to cast your own units with the spells "The Monarchs Stormforth" and "Soul Exchange". Having at times been banned or limited for its fierce powers, Bottomless Trap Hole is presently unrestricted, letting you run as many as you like. When one or more monsters are summoned, Bottomless both destroys and banishes any who had 1500 or more ATK. This exiles your enemies, preventing graveyard recoveries, and since it can impact multiple creatures at once, it's a great counter to mass pendulum swarms. Bottomless is useful for any deck, but as a Trap Hole member, you can further support it with the Traptrix monster archetype. 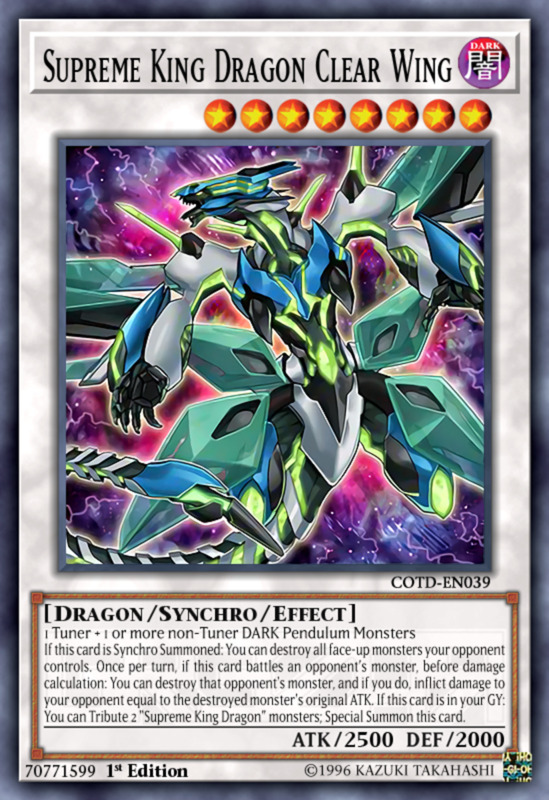 Synchro monster Clear Wing works great both in and out of the Supreme King archetype, as he accepts any tuner and any dark-attribute pendulum non-tuners. 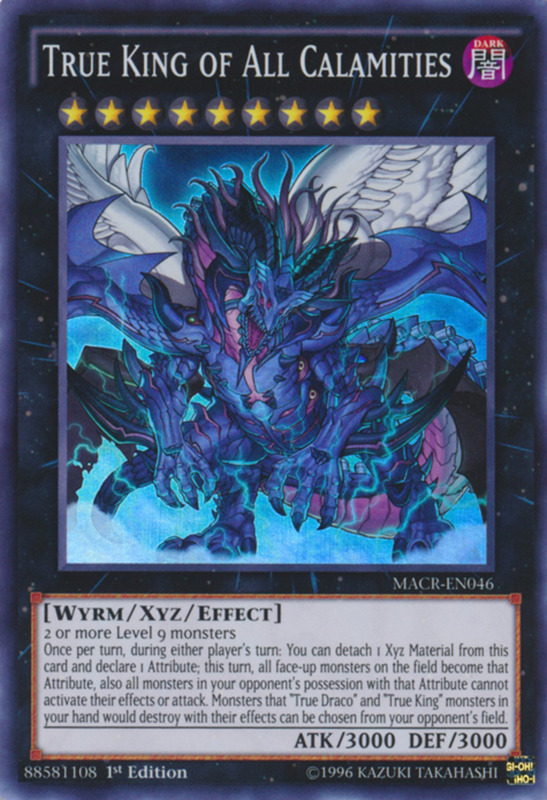 When synchro summoned, Clear Wing eradicates all face-up monsters your opponent controls, just like Lightning Vortex! As icing on the cake, the effect is optional, meaning you don't have to use it in the rare cases you wouldn't want to. And while Clear Wing's ATK is only a decent 2500, he can destroy monsters he battles before damage calculation occurs, simultaneously inflicting their original ATK as damage to your opponent. 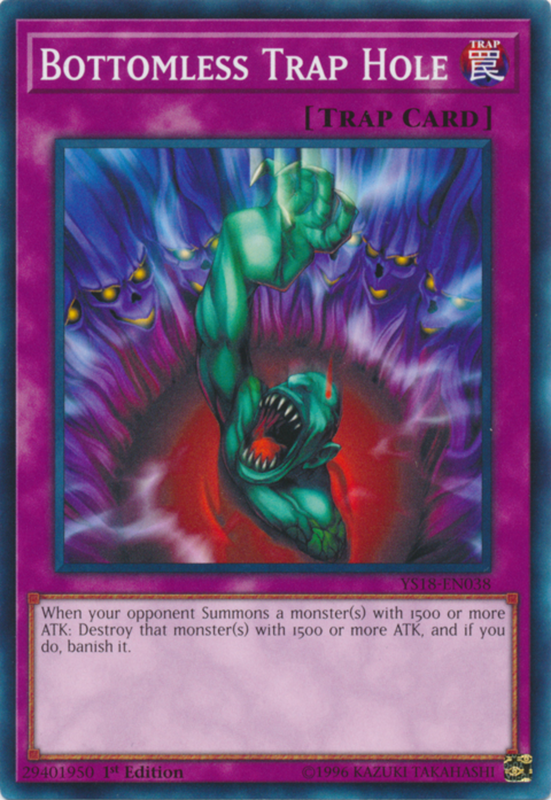 You can also revive him from your graveyard by tributing two Supreme King monsters, but since this isn't a synchro summon, remember his monster wipe won't activate. 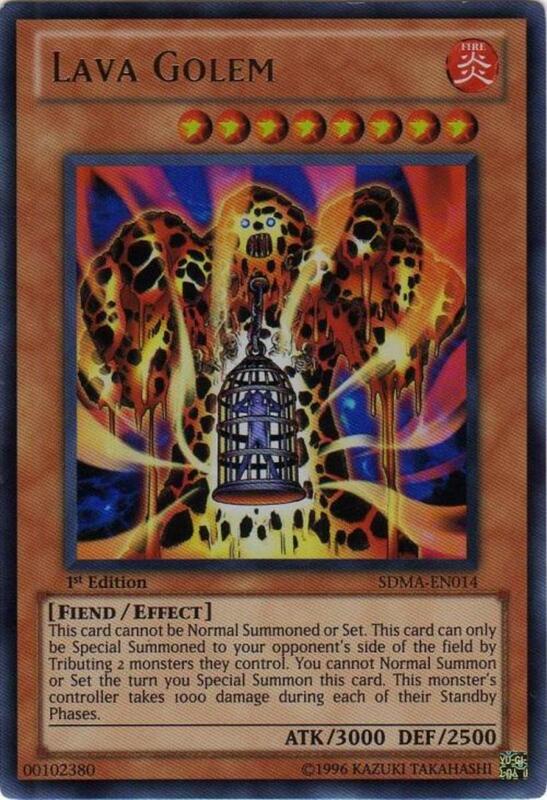 Simple yet effective, Torrential Tribute destroys all monsters on the field when one or more are summoned. Be careful since this also eradicates your own units, but it's a great instant-speed punishment when your opponent gains a lead. 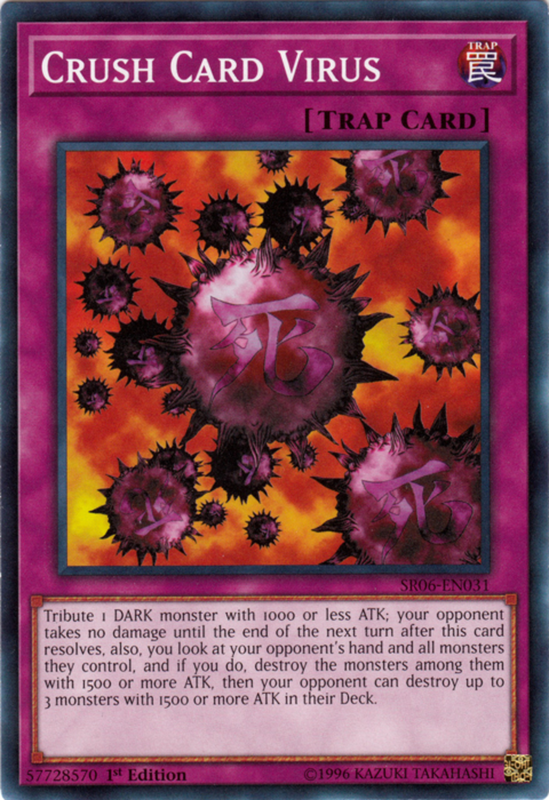 Tribute doesn't need to target its victims to obliterate them, and you can even activate it when you summon a monster if you need to swiftly defeat your foes and clear the way for direct damage in the battle phase. 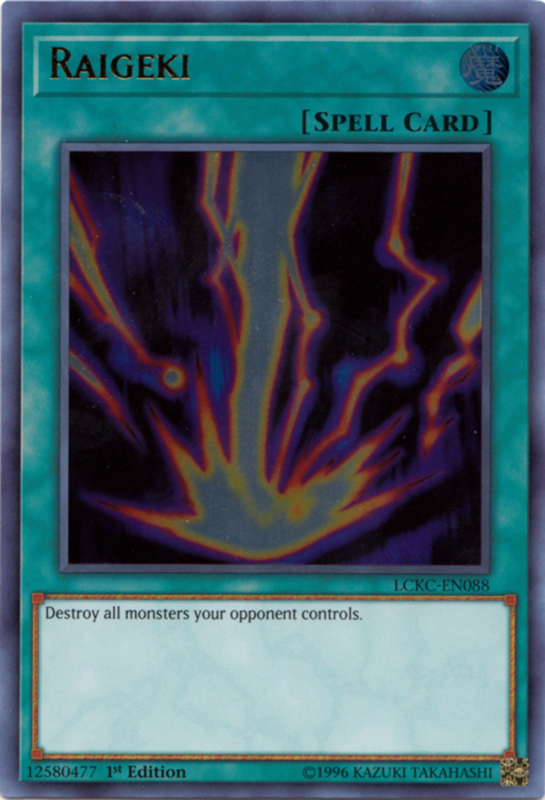 One of the powerful Virus Control traps, Crush Card requires you to tribute a dark monster with 1000 or less ATK. Dark is the most common attribute, letting Virus fit well in several decks, and you can form a fierce combo by sacrificing a monster like "Sangan" (who replenishes your hand upon demise). 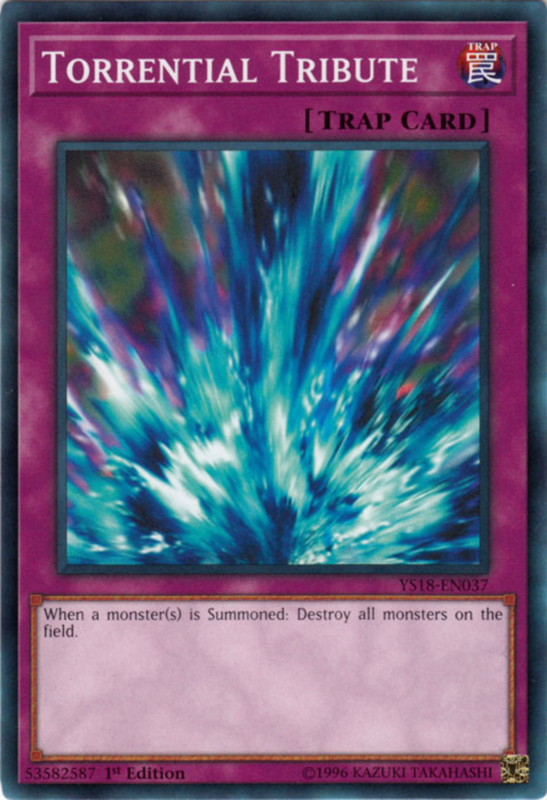 To reward your efforts, Virus destroys all monsters in your opponent's hand and field with 1500 or more ATK, a brutal removal against two entire zones. This also means you get to peek at your opponent's hand and any face-down units they possess. However, your opponent takes no damage until the end of the next turn, and they can destroy up to three monsters with 1500 or more ATK from their deck (stockpiling their graveyard), so bear these costs in mind when harnessing this powerful trap. A member of the infamous Mirror Force series, Drowning Mirror Force can only be activated when an opposing monster declares a direct attack; it won't work when they swing at one of your monsters. 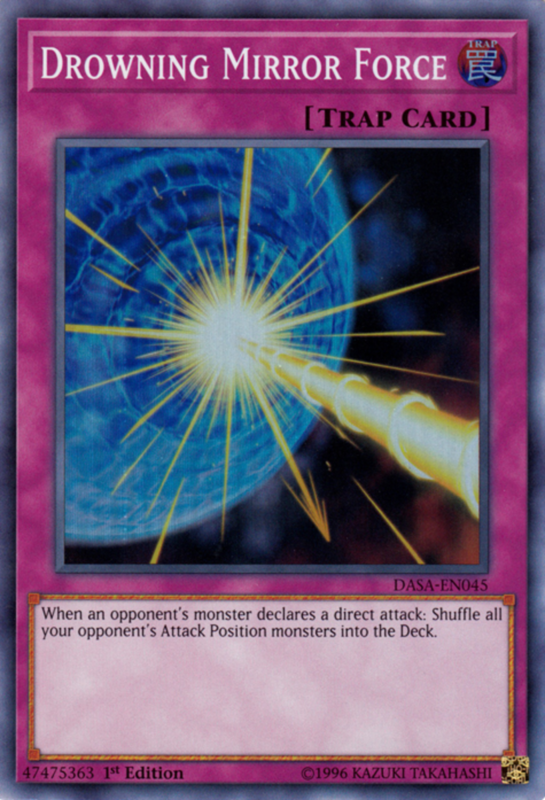 However, it's a brutal removal, shuffling all opposing attack position monsters into your opponent's deck. Drowning adeptly bypasses both destruction and targeting defenses, doesn't fill your foe's graveyard, and should prevent you from taking any battle damage that round. 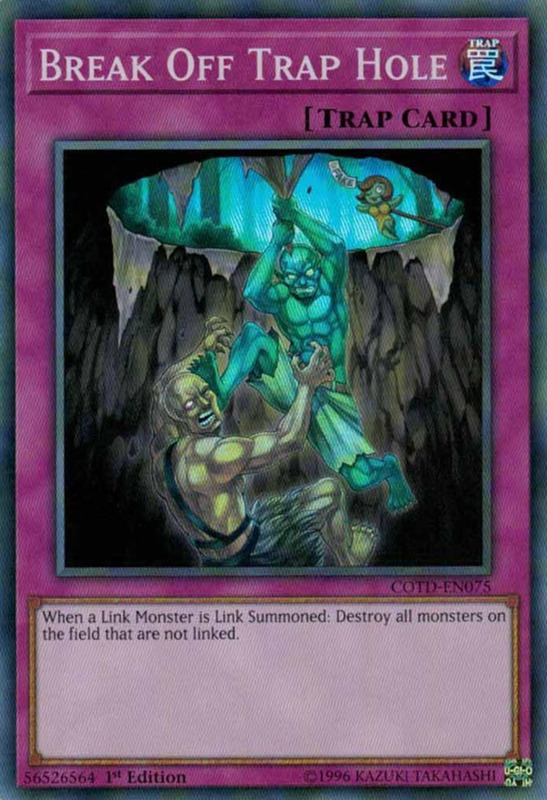 It's also aged well since link monsters can't exist in defense position, leaving them nowhere to hide from the blast. This standard magic card simply nukes all monsters on the field. Another non-targeting card, Dark Hole quickly wipes out any threats—just be sure to use it when your opponent has more to lose than you do. The spell works regardless of archetype, makes a great opening move if you're the second player, and is much cheaper than our next card, costing less than a single dollar! Having long-adorned the ban list, Raigeki is limited as of this writing, allowing you to include a single copy in your deck. 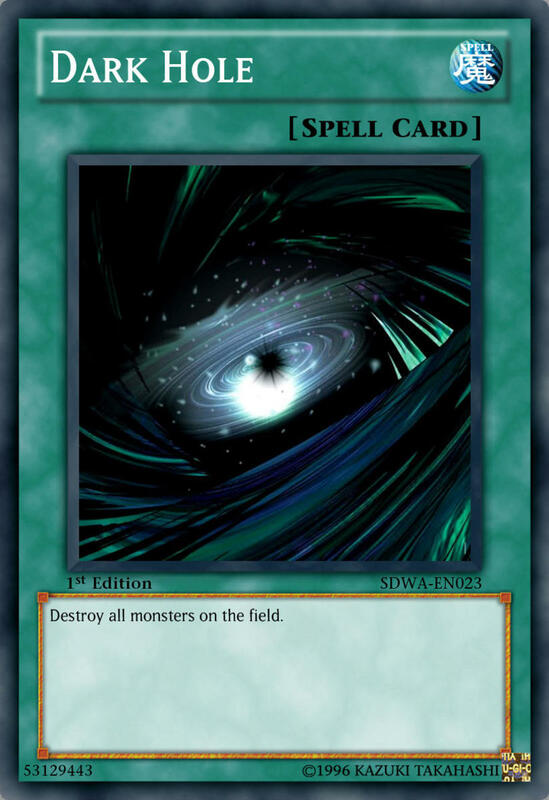 It works like Dark Hole except it destroys only your opponent's monsters, leaving your own units unscathed. It's as simple as that; use Raigeki for an easy removal that (unlike traps) doesn't have to be set for a turn before activating. In addition to today's entries, remember to examine your chosen archetype to see what removals it offers. Also consider hand traps that can stall or destroy foes, or cards like quick-play spell "Book of Moon" that switch enemies into face-down position, leaving them open to attack and unable to access their effects. 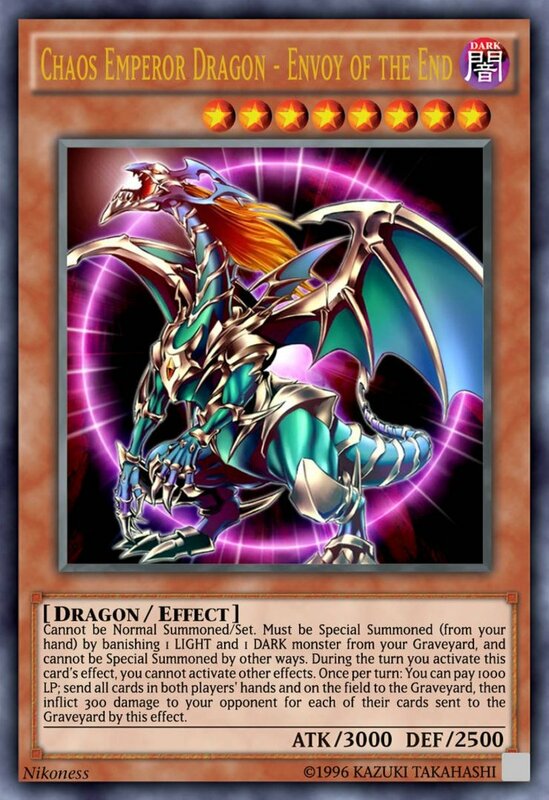 Link monster "Firewall Dragon" also deserves a shout-out; be sure to utilize him if he ever leaves the ban list. Remember to keep an eye out for removals that bounce or exile creatures rather than destroying them and to pay close attention to any defenses your foes may have. But for now, as we eagerly await Konami's next expansion of monster checks, vote for your favorite card and I'll see you at our next Yu-Gi-Oh countdown!